Sep 23: Art Day in the Rouge - guided photography walks, artist stations, classes. Sep 23: Pollinator Garden and Meadow planting event @ Legends Centre, Oshawa - Come help plant pollinator friendly trees, shrubs and flowers. The event beginning at 9 am is part of Trees Canada CDN 150 celebration. 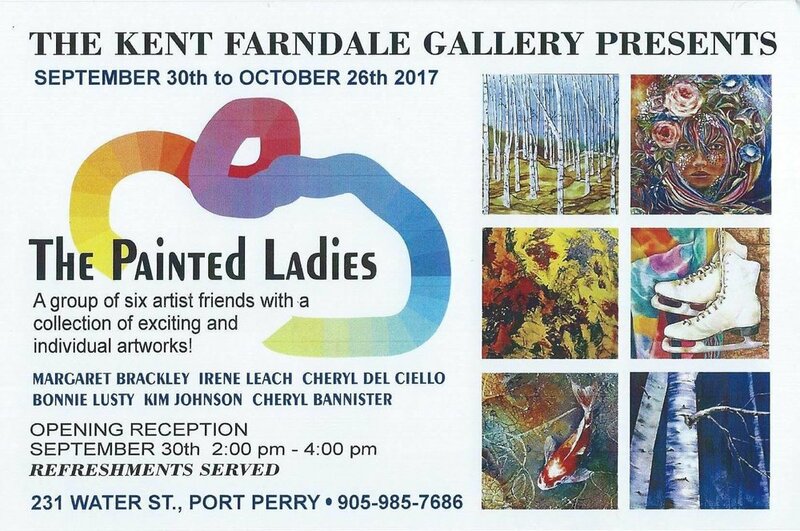 Sep 30: The Painted Ladies @ the Kent Farndale Gallery, Port Perry - to Oct 26. Photographer Leif Petersen @ the Kent Farndale Gallery in Port Perry - to Sept. 28, 2017. Legacies: Teri Donovan, Alexandra Luke, Gwen MacGregor, Isabel McLaughlin @ the Robert McLaughlin Gallery - to Jan 14 2018. The show was curated by Margaret Rodgers. Heavy Hitters: The gifts that keep on giving @ the Robert McLaughlin Gallery - to Jan 14 2018.